The envoy said the delegation​,​ which comprised a team of the U.S Security Governance Initiative​,​ was in the country as a follow-up to its earlier visit in January. 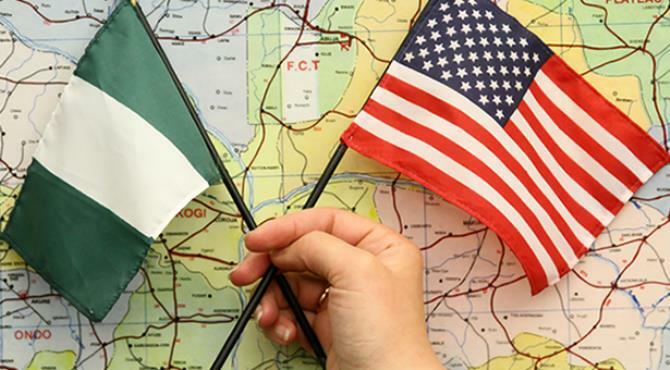 The SGI is an initiative of the U.S. Government that offers enhanced security technical assistance to six African countries, including Nigeria. Mr. Tousignant s​ai​d they were in Nigeria at the request of the Nigerian government to provide a holistic security technical assistance and not to donate any equipment. He explained that the federal government identified three major areas of partnership to include enhancing the Ministry of Interior’s emergency response coordination, Ministry of Defence’s procurement procedure and the civilian security planning for the North-East. He said the week-long interaction between the SGI team and the Nigerian security agencies would fashion out a robust roadmap to ensure better efficiency, transparency and justice in Nigeria’s security architecture. The Team leader, SGI, Stephen Nolan, said both countries were working to finalise and implement a Joint Country Action Plan (JCAP) which was a document that outlined a roadmap for a successful partnership. He said that the JCAP emphasised partnership and finding Nigerian solution to its security challenges not about what the U.S was doing for Nigeria. Mr. Nolan, however, assured that the forthcoming elections in the U.S and the change of government in January 2017 would not affect the project as they had been working hard to ensure its sustenance. “I want to assure you that we have been working for the continuity and sustainability of this project, even after the Obama administration in January, 2017,’’ he said. Mr. Dambazau, in his remarks, thanked the delegation for the visit and expressed optimism that the partnership would help to re-position the security architecture of the country. He said the partnership would involve all security agencies and not just those of the Ministry of Interior so as to fashion out a holistic security roadmap to deal with terrorism and other crimes. The minister said that the meeting was in tandem with President Muhammadu Buhari’s agenda to address security, corruption and the economy of the country in line with international best practice. He charged officials from all security agencies in the country that were part of the meeting to show commitment and dedication to the task ahead. The Nigeria Police Force, Army, Air Force, Navy, Immigration, Prisons, Civil Defence and Fire Service ​were all part of the meeting.